A variety of pea that is eaten as an unripe, whole pod. Snow peas are similar to sugar snap peas but are flatter and have a thinner pod. 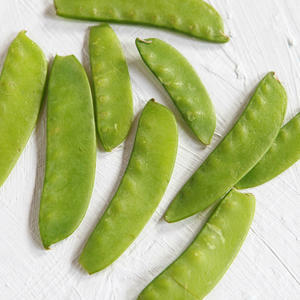 Snow peas are a frequent ingredient in Asian cuisine, such as stir-fry dishes.